Our vision is to be a global leader in advancing the predictive science of coastal margin ecosystems. We seek to transcend traditional scientific, educational, and societal boundaries in order to understand complex coastal margin issues. We strive to engage with decision makers to incorporate scientifically valid information to solve problems that result from pressures of human activity and changing climate. Conduct research that provides the sound foundation for anticipatory rather than reactive science. Establish educational pathways that lead to a STEM-literate workforce that is well prepared to address coastal margin issues. Ensure that the results of the entirety of our efforts are strategically transitioned to a wide enough spectrum of stakeholders to effect paradigm changes in society’s handling of coastal margins. Broaden the participation of members of underrepresented groups in STEM research, education and training, with a particular emphasis on Native American communities. CMOP is the only NSF Science and Technology Center (STC) ever focused on coastal margins, the only STC ever headquartered in Oregon, and one of only two STCs ever focused on ocean issues. CMOP is a large multi-institutional partnership led by Oregon Health & Science University (Host institution), with Oregon State University, and University of Washington as anchor partners. 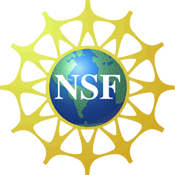 The core funding for the center is from the National Science Foundation. Baris Mete Uz (Division of Ocean Sciences), Dragana Brzakovic (Office of Integrative Activities), and Miles Boylan (Education and Human Resources) are the NSF program managers for the center. CMOP is headquartered at Oregon Health & Science University's West Campus in Beaverton, Oregon. Activities take place on all the campuses of partner institutions. We use extensive video conferencing technology to engage collaboration and minimize barriers created by distance. The Center Director, António Baptista, is a professor in the Division of Environmental and Biomolecular Systems and director of the Institute of Environmental Health at Oregon Health & Science University. He reports to the OHSU Provost and leads a Senior Management Team that includes: Co-Directors (David Martin, APL-UW and Yvette Spitz & Fredrick Prahl, OSU), Managing Director (Amy Johnson, OHSU), Director of Higher Education and Diversity (Vanessa Green, OHSU), and Director of Academic Programs (Nievita Bueno Watts, OHSU). See a complete listing of partners.